NTS Orlando, Florida, is a key partner to our aerospace, defense, medical and commercial clients. From our Orlando’s two locations, complete test services for dynamic, climatic, EMI, and hydraulic testing are performed with dedication to the highest standards of quality and accuracy. You can be assured of our commitment to quality as evidenced by NTS Orlando’s A2LA ISO/IEC 17025 laboratory accreditations. 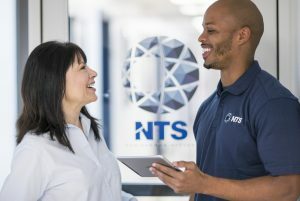 Since NTS was founded by two engineers in 1961, every service we offer has been focused on providing our clients with highly accurate and timely data by supplying cost-effective and innovative testing methods. You could say it is in our organizational DNA to add value to every interaction we have. Our in-depth expertise and culture of excellence make us an unmatched testing solutions provider. Our Old Winter Garden location specializes in dynamic, climatic and hydraulic testing capabilities. If you are looking for a full spectrum of EMI testing services, click here. From solar cells that are exposed to harsh sunlight to satellite components that must endure drastic thermal fluctuations, scores of products are expected to perform in some of the most challenging environmental conditions imaginable. For businesses that design, develop and manufacture these products, there is absolutely no substitute for the comprehensive environmental simulation testing offered by NTS. Environmental testing can ensure that products meet with all relevant contract and regulatory requirements, such as MIL-STD-810 for military items. In addition, it can help manufacturers distinguish themselves with best-in-class products. 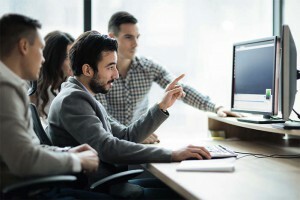 Armed with the data needed to recognize flaws and weaknesses early in a product’s R&D phase, manufacturers can bring more robust products to the market. This enhances both the credibility and marketability of the item — as well as the company behind it. NTS Orlando offers temperature, humidity, altitude, rapid decompression, thermal vacuum, explosive atmosphere, solar heating effects, thermal shock, blowing sand, blowing dust, blowing rain, and salt fog. We can also operate controls such as buttons, switches and joysticks in harsh environmental conditions hostile to human presence, and can offer more detailed manipulation via a Motoman SV3 Robot. NTS Orlando maintains five shielded enclosures as well as a broad variety of test equipment to help achieve your Electromagnetic Interference (EMI) and Electromagnetic Compatibility (EMC) test objectives. To see the full spectrum of EMI testing services, click here. Click here to download the NTS Orlando fact sheet for more details on specifications, tests, and capabilities. Contact us today to discuss your next program!